verd de gris was formed by artists Sharon Marsden and Jeff Turner in Liverpool in 1997. Since then we have worked with a host of artists and creative practitioners from across the UK. Verd de gris work across artforms and disciplines – to create work that may include elements of performance, recorded sound, reclaimed or found objects, original music, photography, written and the spoken word. To help us do this we employ specialised project workers (e.g. musicians, writers, performers, technicians) as required and employ specialised fabricators to assist in the manufacture of specific art work. The decisions are made relating to design very much depend on the requirements of the brief: potential audience, nature of site, accessibility etc. Natalie is a dancer, choreographer and dance teacher. Natalie has worked closely with verd de gris over the past 5 years, devising project work and delivering a range of sessions to a broad range of client groups. In 2016 she led our schools touring project The Storyman with students from Calderdale College and local primary schools. 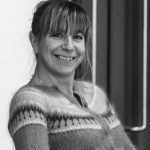 Natalie also runs her own creative dance practice, specialising in dance and movement work for older people living with conditions like dementia and Parkinson’s. In 2017 verd de gris commissioned Natalie to create a film project with her Dance4Fun Parkinson’s group – the resulting film Valerie’s Dance went on to win the national When I Dance competition. Geoff began his career in Sydney, Australia working as a filmmaker and directing actors. After leaving his home country Geoff travelled around Southeast Asia as a photographer, documenting the lives of people out on the edges of society: the Muslim Uyghurs in China, the slums of Mumbai, the remaining Buddhist monks of Mongolia, child wrestlers in Pakistan. Travelling in Pakistan, Geoff met a young Malala Yousafzai, just prior to her being shot by the Taliban. The resulting photographs went on to be featured internationally in the likes of The Guardian, CNN and New Statesman. 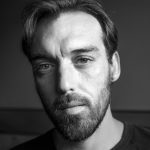 Geoff has worked with verd de gris on a number of film and photography projects, the most successful being Soul Journey and TAXI. 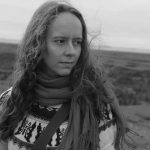 Kaye is a writer and artist who now delivers our creative dementia sessions in Hebden Bridge. Kaye is also a photographer and travel writer whose writings have been published in a number of international journals and magazines. Her work with her partner Geoff Brokate take her to locations across the world, brining a truly international perspective to her work. Kaye is currently producing a book of poetry for verd de gris celebrating the work carried out in the creative dementia sessions. verd de gris arts win a National Creative Learning Award!